I’m getting ready for the Salisbury Contemporary Craft and Heritage Festival, coming up on the 7-10th September. I love arriving in Salisbury: I can see the spire, it looks so close. Then I realise, as Father Ted puts it, “Small, Far away”. It’s such a huge spire that it’s visible for miles. Five rivers meet in Salisbury: the Nadder, the Ebble, the Wylye, the Bourne, and the Avon. Maybe it’s one of the reasons the Cathedral was moved down from Old Sarum in 1226. 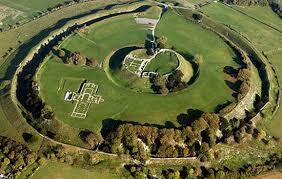 Old Sarum, by the way, though more or less uninhabited, had an MP until 1832 – one of the ‘rotten boroughs’. The Nadder is one of my favourite rivers, too, partly because it’s what we should still call an adder, the change coming around 950AD through misdivision (like a nuncle, or a napron). Wylye may comes from the Welsh “gwil”, tricky. Ebble – who knows. 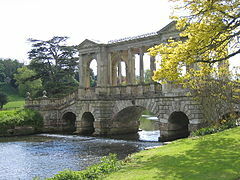 Bourne: like the Scottish burn, is an intermittent stream. Avon is another Welsh word, meaning river, still in daily use. 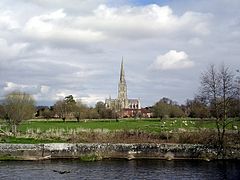 Cultural history’s wound around the five names, like the rivers wind around Salisbury, and about as old and interesting too. So I’ve been inspired to make some work with these words. It’s a bit tacky, I suppose, like “A present from Salisbury”. Not a bad place to be reminded of, though. Thanks for that. A lot of my work sells in places like Blackwell in Cumbria, where I think it is bought as ‘a present from’. 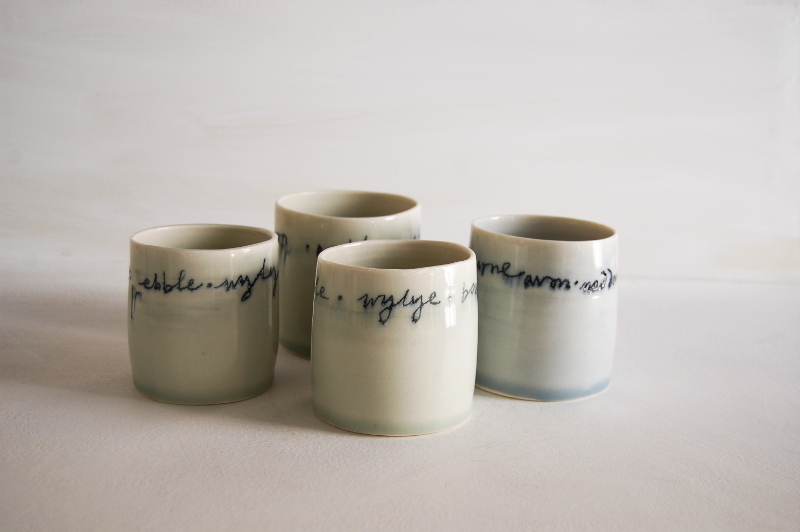 But then I suppose my work is inspired by natural landscapes and materials, so why not!